I contracted shingles in my right eye and right side of my head. I could not open my eyelid, nor did I have movement in my eye. The pupil in my right eye was distorted and the cornea had no feeling . I was in extreme pain and unable to take most neuralgia medication due to allergic reactions. I could not eat and my hair was falling out. 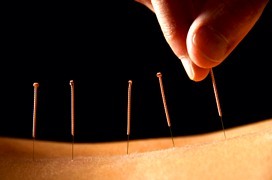 Within two weeks of starting acupuncture and herbal supplements from Dr. Xiang, my appetite returned and I started gaining strength. After two months my hair started to regrow and it grew back thicker. My physician and several specialists told me this nerve condition was the most severe case they had ever seen and that I was considered to be one in a million with this condition. Today, I can now open my eye and my eye movement has returned. I still have some pain but it has greatly reduced due to the care and attention given by Dr. Xiang and Dr. Zhang. I continue to improve with daily herbal supplements and minimal pain medication. There is no doubt that I would have not reached this level of success if it weren't for Dr. Xiang's herbal supplement recommendation and acupuncture. She has given me my life back and my family and I sincerely thank you! ~ Barbara G.
On July 10, 2014, I experienced a sharp pain in my wrist that went through my entire right arm. Within minutes I experienced numbness in the right side of my face and my face was locked in a slated position, which the first thing that entered my mind it was a stroke. My husband took me to the West Florida ER and I was discharged with instructions to see a neurologist. The first neurologist said he didn’t know was causing the problem and numerous test were performed. After seeing three neurologist, ENT specialist, dentist, physical therapist and being prescribed numerous muscles relaxers prescriptions, the situation hadn’t gotten any better. My job requires me to constantly take inbound calls and I was not able to work in a normal capacity for over a year and a half. The future just seemed bleak and I didn’t know what the future had in store for me. I received a phone call from the new neurologist saying my appointment was being canceled and my leave was running out for my return to work date. 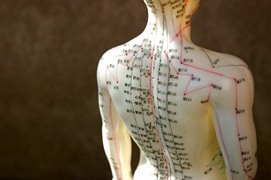 I frantically went to the internet and searched my symptoms and the document mentioned acupuncture. I called the Acupuncture Clinic and spoke to Dr. Shang on December 22nd and went in for the first treatment and minutes after leaving, I was able to speak without my face locking up and that’s something that I haven’t been able to do for over a year. My next appointment was on December 28th and no more migraines and the neck pain was minimal. I was able to return to work on January 5th and I’m so thankful to Dr. Shang for giving me my life back. In 2001, I was exposed to tuberculosis at my place of employment. As a result, I was given 6 tests to see if I had contracted tuberculosis. Five of the six tests were negative with the sixth being inconclusive. The Department of Health decided I was to go under treatment as a safety measure. I was given TB medication that made me very sick to my stomach and made it nearly impossible to eat after taking the medication each day at 11am at the Health Department. Somehow I endured taking this medicine daily for 12 months. In the following three years, doctors at two separate hospitals attempted to treat my post-medication symptoms, example: projectile vomiting 2 to 4 times daily with no known cause, other than the medication, not long able to eat more than 3 to 4 ounces food at a meal and having no appetite at all. 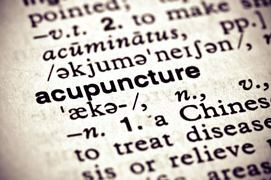 After 3 years of numerous tests and blood work, urine samples, upper and lower GI’s, etc., I decided to give acupuncture a try. Boy, I was and still am totally pleased and amazed with my results. After only one treatment, I didn’t vomit again, and my appetite has returned and it is so pleasant to enjoying dining again. And to think, I was totally cured after only three visits and using the suggested herbs. I am now taking treatments to help me quit smoking with comparable results. After just one treatment and the use of very small patches in my right ear, I have very little desire to smoke a cigarette and I had been a 1½ pack-a-day smoker for 39 years. Needless to say, I’m very pleased. I have also received treatment after pulling a muscle in my lower back. I’ve been unfortunate enough to have enough accidents and injuries in previous years to require six lumbar back surgeries, therefore I deal with a great deal of pain daily, from the scar tissue and arthritis setting in. After completing two weeks of treatments I’ve seen a significant reduction in degree of pain, resulting in taking less strong medications than previously.